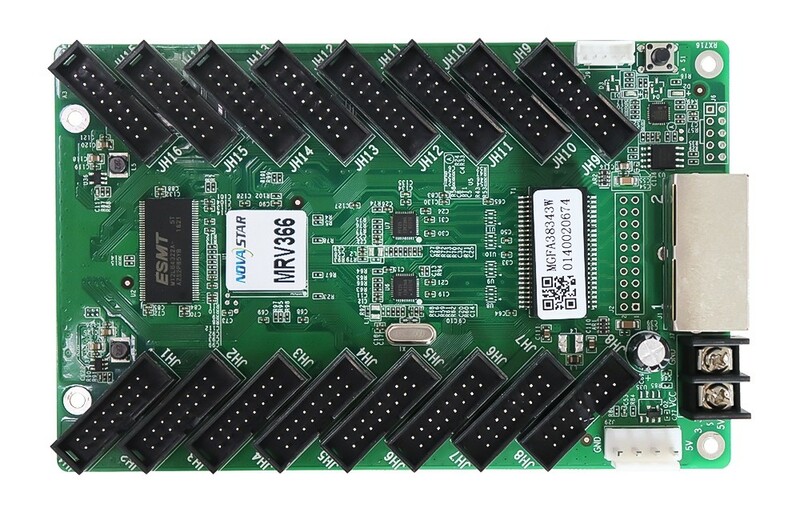 The MRV366 is a new receiving card developed by NovaStar. 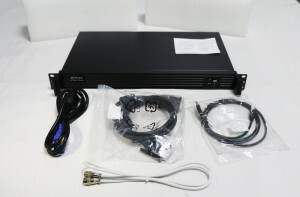 A single MRV366 loads up to 512x256 pixels. Supports pixel level brightness and chroma calibration, which effectively removes color difference, greatly improves display consistency of LED images, and presents finer displays to users. 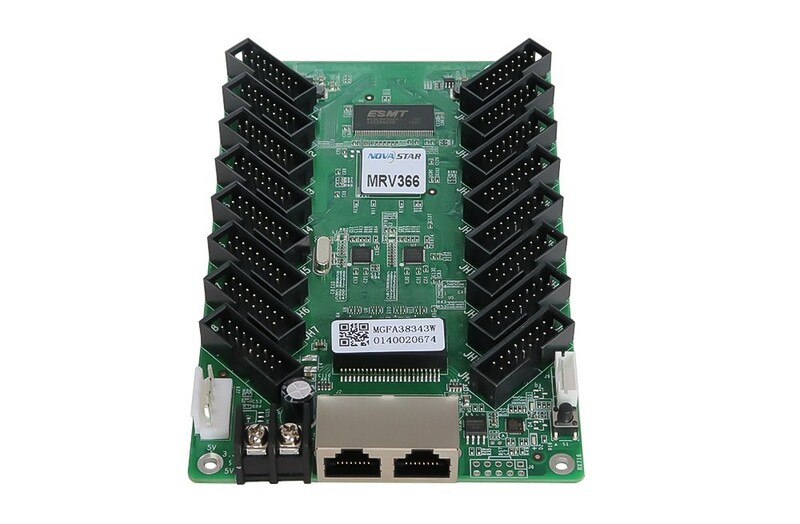 Software and hardware designs of the MRV366 have fully concerned users' deployment, operating and maintenance scenarios, enabling easier deployment, more stable operating and more efficient maintenance. 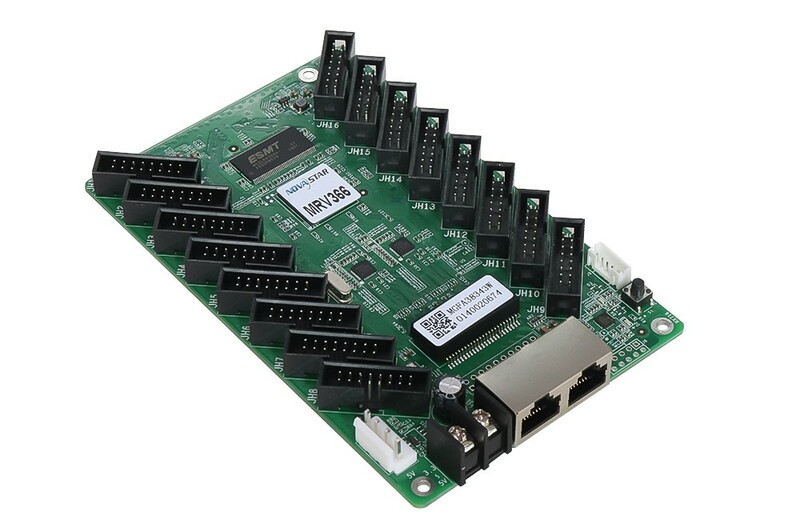 Supports status detection of temperature, voltage, Ethernet cable communication and video source signals. Brightness and chroma calibration on NovaLCT for each pixel could remove color difference effectively, make the brightness and chroma of the whole screen highly consistent, and improve the display effect. 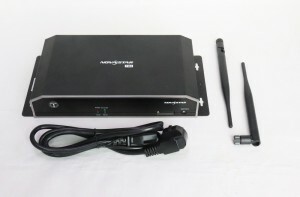 On NovaLCT, the specified images could be set as the screen startup image and images used when the Ethernet cable is disconnected or no video source signal is available. 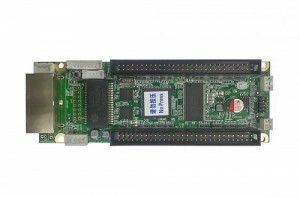 On NovaLCT, the status of receiving card's temperature, voltage, Ethernet cable communication and video source signals can be detected. 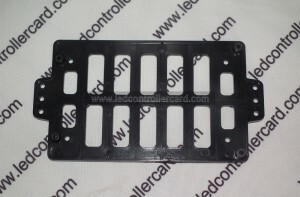 Supports NovaStar's general 5-pin LCD module. 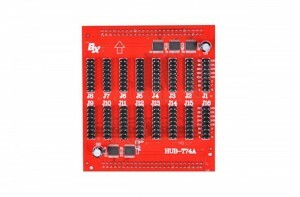 The LCD module is connected to the HUB board to display temperature, voltage, single operating time and total operating time of the receiving card. On NovaLCT (V5.0.0 or later), the configuration information stored in the receiving card can be read back. 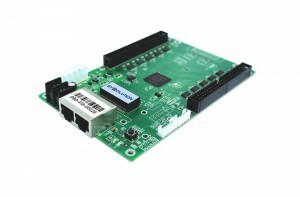 On NovaLCT (V5.0.0 or later), the firmware versions of the receiving card can be read back. 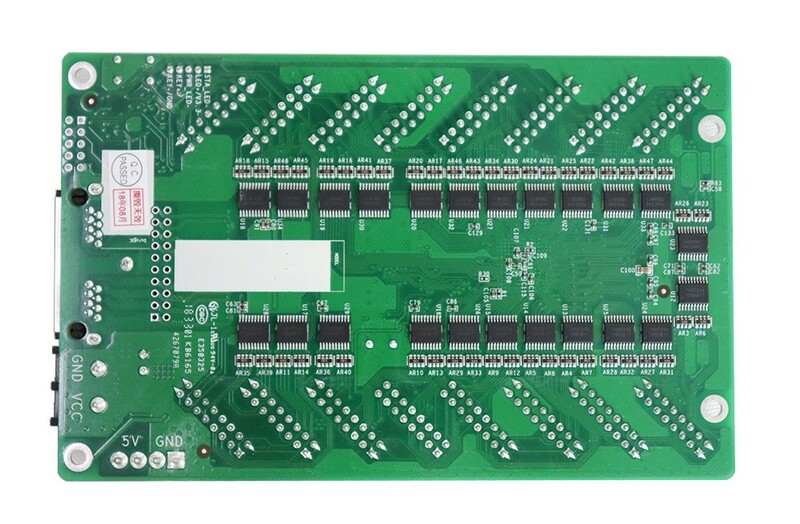 The MRV366 is applied to the LED display synchronous system which is generally composed of the LED display, receiving card, LED display controller and controller peripherals. 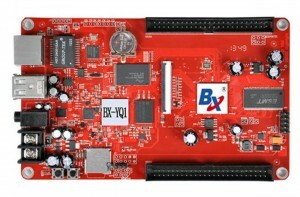 The receiving card is connected to the LED display over HUB connectors. 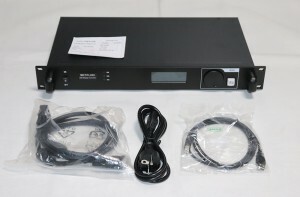 The synchronous system requires connecting a computer to display the computer’s images and texts on the LED display. The synchronous system's structure is shown in the following figure. An antistatic bag and anti-collision foam are prepared for each receiving card. 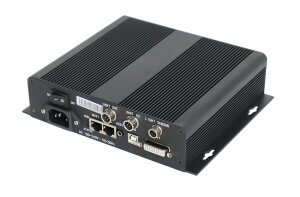 Dimensions of the packing box: 650.0 mm x 500.0 mm x 200.0 mm, 100 receiving cards in each box.